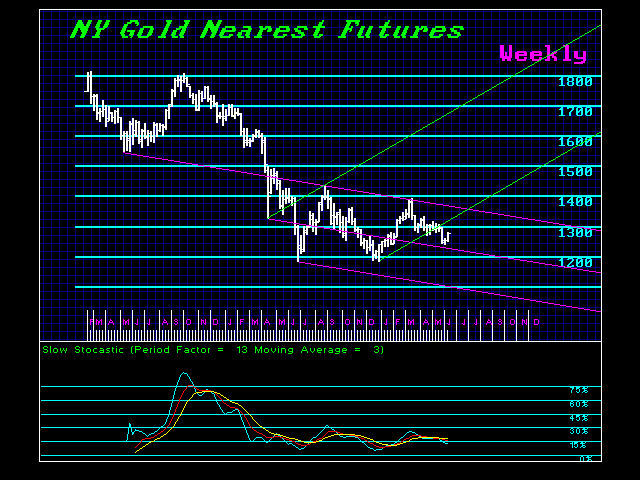 Gold began the bounce on target but we need a daily closing ABOVE 1295 to suggest any further upside pressure. The low was on June 2nd so technically we have fulfilled the first target in time for a June seasonal low. We would need a weekly closing above 1355 to really suggest a brief sustained rally is possible while resistance is starting at 1307 on our weekly models. The current bounce is due to the shift in currencies. 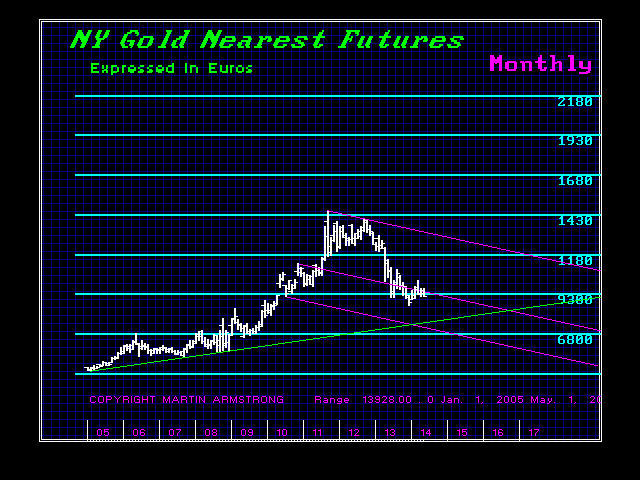 Keep in mind that for a real bull market to form long-term gold must rise WITH THE DOLLAR. Only when it rises in all currencies will we see a bull market. We can see in Euros, the December low is the major low while in dollars we have a double bottom. 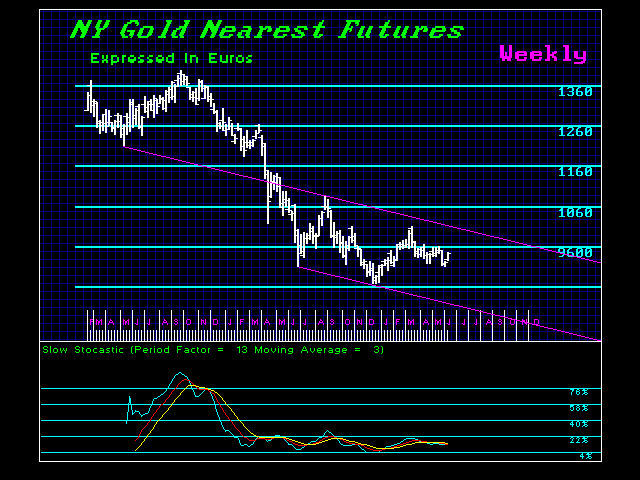 We can see the broader pattern in gold expressed in euros. 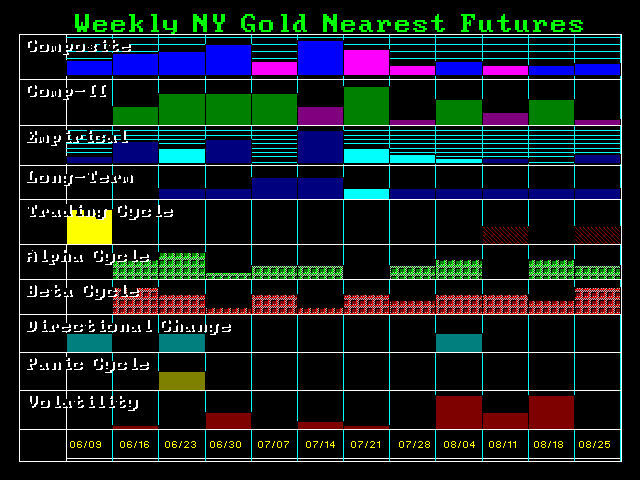 The flat top is a warning that we will see new highs in gold in euros, It appears that our timing models in euros is highlighting an important shift in trend in September 2016.